Breaking of frangible device or melting of fusible plug relieves pressure in air line or hydraulic line. With a properly plumbed system, releasing line pressure allows for valves and vapor valves to close in an emergency situation. 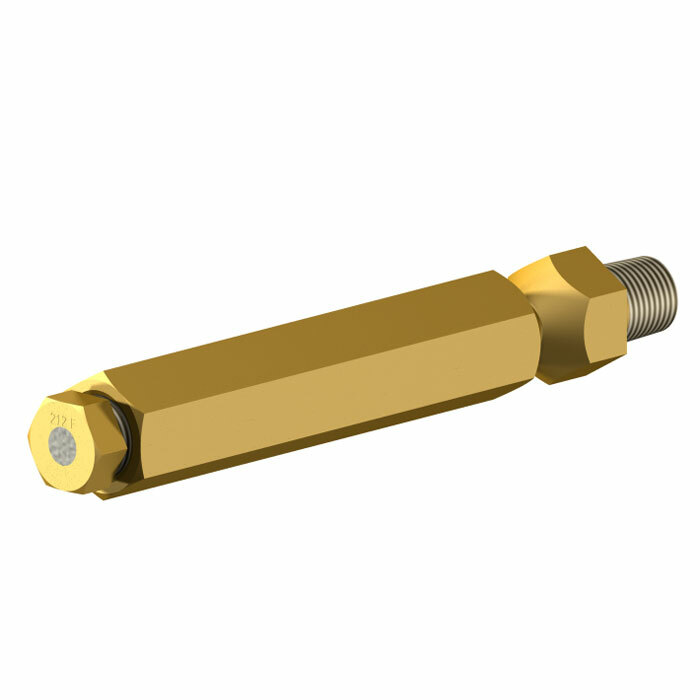 The 1/8″ NPT brass fusible plug (FP15003BR) is used in air or hydraulic systems as a thermal protection device. It can be installed in emergency valves, air actuators, or tied in with any air or hydraulic line. If the fusible plug is subjected to temperatures above 212 degrees F., the solder will melt and relieve line pressure to facilitate closing of emergency valves and vapor recovery valves. When this fusible plug is installed properly and used in a correctly designed air or hydraulic system, it fulfills the requirements of, but not limited to, US DOT 49CFR§178.345-11(b)(1)(iii) and 49CFR§178.341-5(a), CSA B620-09 clause 5.6.12.3(e). Minimum Melt Temperature 212°F, Maximum Melt Temperature 250°F, Typical Melt Temperature 220 to 225°F. 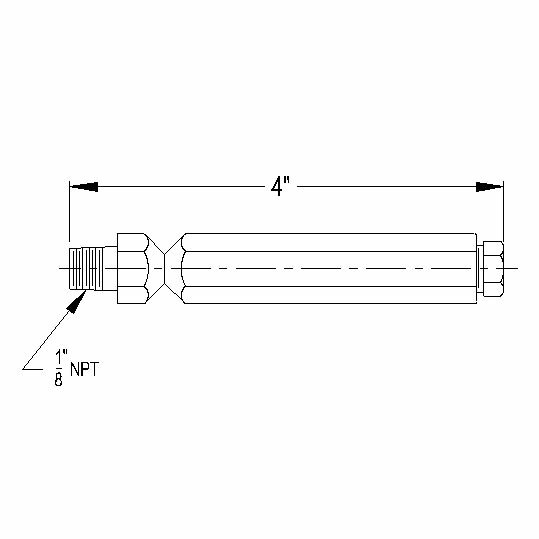 Thread is standard 1/8″ male NPT.